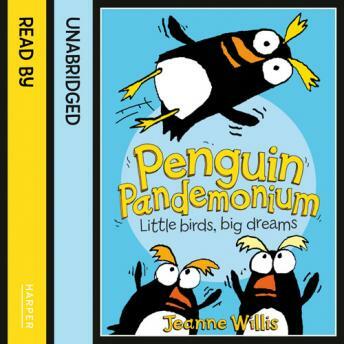 An unforgettably funny animal adventure story about a little bird with big dreams, from award-winning author Jeanne Willis. One of the fantastic titles in the brand new Awesome Animals series - the funniest fiction, starring the wildest wildlife, from prize winning authors. Rory the rockhopper penguin loves showing off, but with few visitors to the zoo, life has become a little dull. If things don't improve the zoo might have to close.